Jeff Oven is a Partner in the firm’s Litigation Department. Jeff is a trial attorney and has tried cases in both state and federal courts. His practice focuses on commercial litigation, including complex natural resource litigation, energy and mineral litigation, royalty and tax litigation, public utility litigation, and patent litigation. 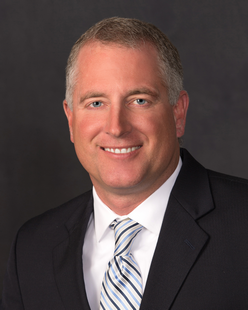 Jeff has handled cases involving pipeline explosion and release liability, spill and pollution liability, and environmental damage and restoration. Jeff has litigated against numerous private individuals and advocacy groups, as well as disputes involving State, Federal and Tribal agencies. Jeff serves as national counsel for clients and has handled matters venued in Montana, North Dakota, Wyoming, Colorado, Minnesota, New Mexico, New York, Virginia, California, Washington, Georgia, Florida, Utah and Washington D.C.
“Wyoming’s Last Great Range War: The Modern Debate over the State’s Public School Lands,” XXXIV Land and Water Law Review, No. 1 (1999). Devon Energy Corporation, et al v. Lon V. Smith Foundation, 403 P.3d 997 (Wyo. 2017). Bos Terra, LP, v. Kent & Julie Beers, 380 Mont. 109, 354 P.3d 572 (2015). Mellon v. Int’l Grp Historic Aircraft Recovery, 33 F.Supp.3d 1277 (D. Wyo. 2014). Frontline Processing Corporation, et al. v. Barack Ferrazzano Kirschbaum Perlman & Nagelberg LLP, et al; US Court of Appeals for the Ninth Circuit, D.C. No. 2:11-cv-00061-SEH, (9th Cir. April 28, 2014)(mem.). Sheridan Electric Co-Op, Inc. v. Montana-Dakota Utilities, 377 Mont. 296, 340 P.3d 529 (2014). The Northern Cheyenne Tribe v. The Roman Catholic Church, 368 Mont. 330, 296 P.3d 450 (2013). Northern Plains Resources Council, Inc., et al. v. Montana Board of Land Commissioners and Arch Coal, 366 Mont. 399, 288 P.3d 169 (2012). Krutzfeldt Ranch, LLC, et al. v. Pinnacle Bank, 363 Mont. 366, 272 P.3d 635 (2012). Burlington Resources Oil & Gas Co. v. Lang and Sons, Inc., 361 Mont. 407, 259 P.3d 766 (2011). Frontline Processing Corp. v. First State Bank of Eldorado, Eldorado, Illinois, 389 F. App’x. 748 (9th Cir. July 30, 2010)(mem.). Frontier Insurance Company v. LMA Underwriting Agency, Inc., et al., 2010 WL 9545574 (Minn. App.). Frontline Processing Corp. v. American Economy Insurance, Co., 335 Mont. 192, 149 P.3d 906 (2006). Wells v. Young, 309 Mont. 419, 47 P.3d 809 (2002). Nixon v. State, 994 P.2d 324 (Wyo. 1999).